Our airport shuttle driver had informed us there was plenty of water in the outback but it was all underground. 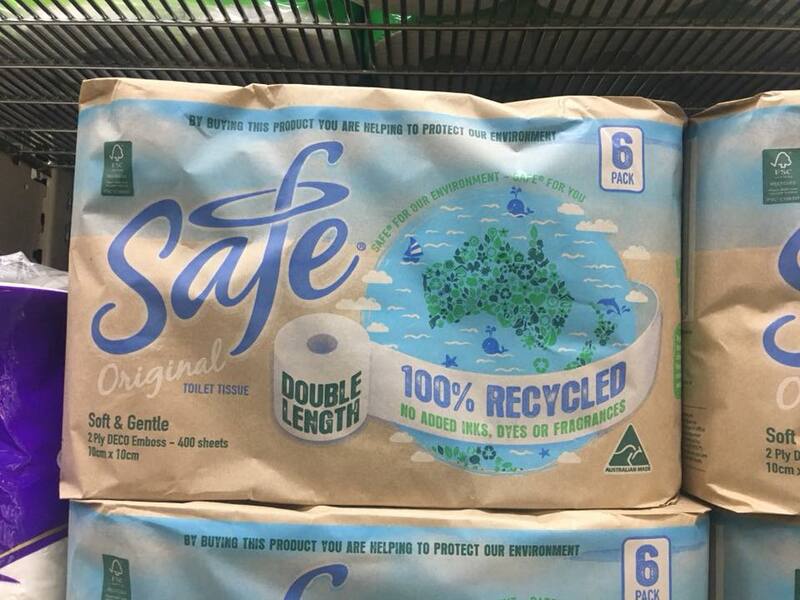 Still, I began to notice a very strong conservationist approach in Australia, including this recycled toilet paper in the IGA. I didn’t want to know the details of how it was made, and I probably wouldn’t use it myself, but I’m glad they make it and that someone must use it. 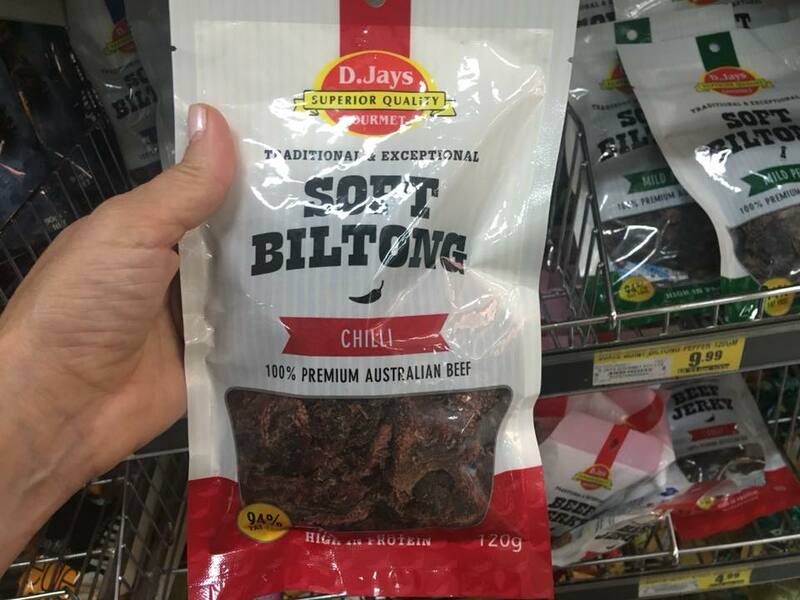 I was aghast that not only was there, as I had expected, Aussie biltong (beef jerky) but also Jack Links. Jack Links is based in Wisconsin and I always buy it, thinking it is a local company. 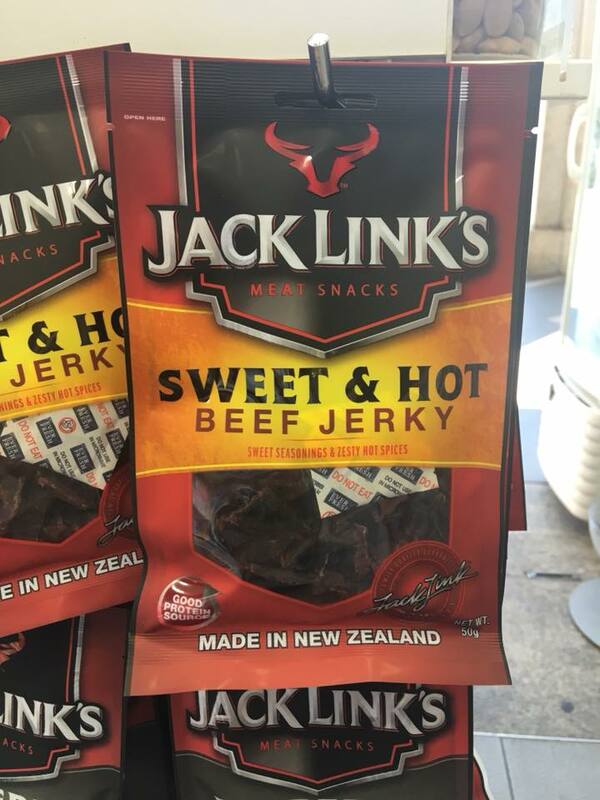 But here was Jack Links jerky—made in New Zealand. Maybe it’s not a Wisconsin company after all. After our exciting afternoon watching football, photographing toilet paper, and buying kangaroo-themed tea towels, Heidi and I returned to the bunkhouse. She went in search of the bath huts and my eye fell on a thick folder she’d tossed onto the bottom bunk. It was stuffed with glossy brochures, pages of meticulous hand-written notes, and rows of calculations. “I knew you and Danielle put a lot of time into this trip, but I didn’t realize how much,” I said as she rejoined me. “Yes. Well, they don’t make it easy. Everything is a la carte, even Internet, which is why I printed everything out.” We hadn’t had wireless or 4G or even one G since we left Sydney. “Yes! Let’s see if we can see the sunset from there.” So we did, for free. You can just see Ularu (oo’-la-roo) in the distance. 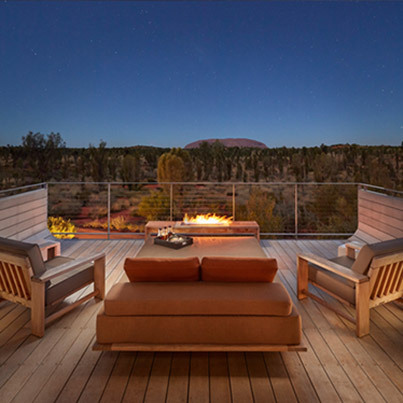 Ularu was formerly named Ayers Rock. Because it’s a big rock. It’s 863 meters (2,831 feet) high and 9.4 kilometers (almost six miles) in circumference. I learned that Ularu is just the tail end of a snake-shaped rock formation, most of which is underground. Like many such formations, people have always wanted to climb it, and there is a chain strung along posts hammered into the rock to facilitate this. The local aboriginals, the Pitjantjatjara (pit’-in-jar-a) consider Ularu sacred. They don’t claim to “own” it; they consider themselves its guardians and ask people not to climb, but people still do. A woman started chatting with us as her kids climbed and did the limbo and swung on the fence rails, as kids do. She had disconcerting false eyelashes, an extreme fake tan, and long acrylic fingernails. “We all climbed the rock today. It’s just one of those things you have to do.” There was no hint of embarrassment. 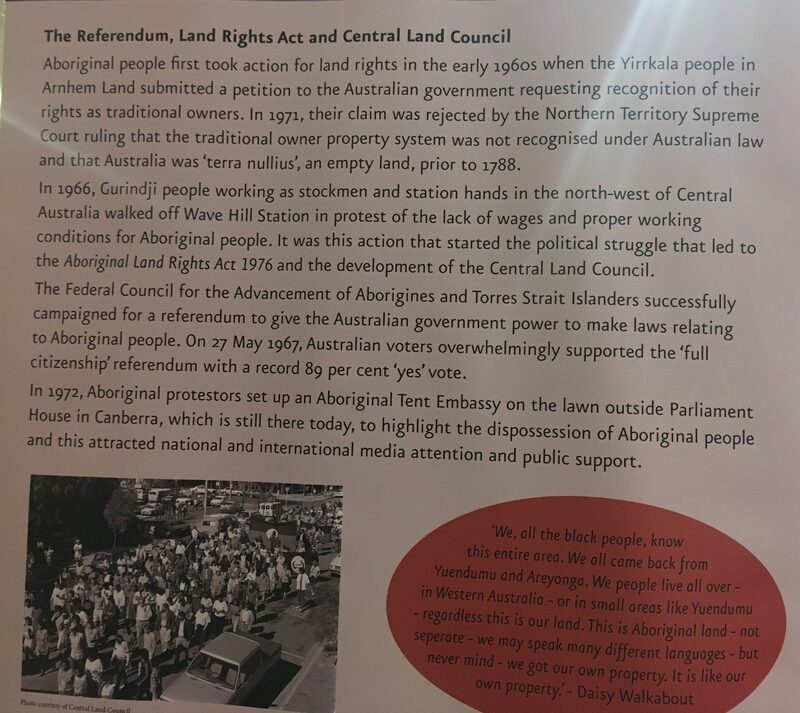 I expected her to at least acknowledge that this was going against the wishes of the aboriginals, but no. Heidi and I maintained neutral expressions. The woman moved on from topic to topic, asking questions and not listening to our answers but using her queries to launch a new run-on story about booking holidays, the Australian school system, driving and cars, and I-can’t-remember-what-else. The government has settled the matter once and for all, by banning the climb as of next year. 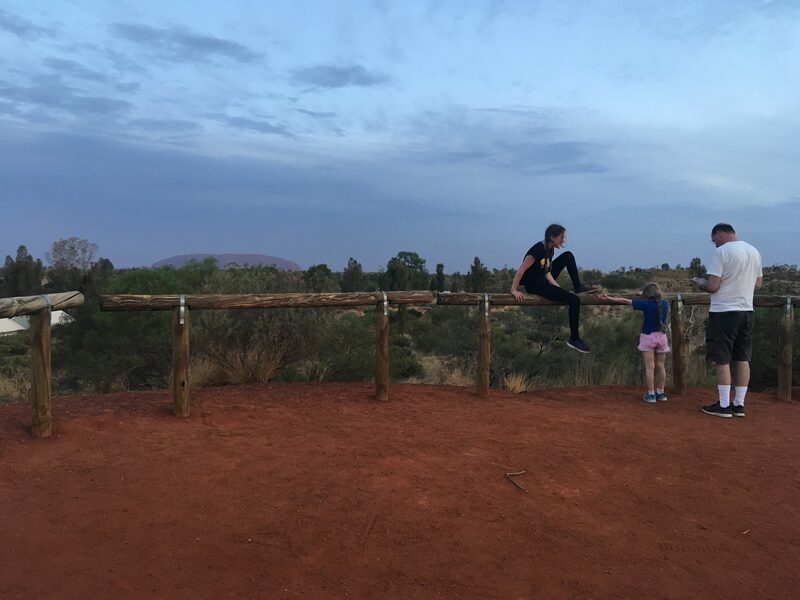 This entry was posted in Adventure, Budget travel, Culture shock, Travel and tagged Aboriginals, Australia, Outback, Ularu on November 14, 2018 by Breaking Free.